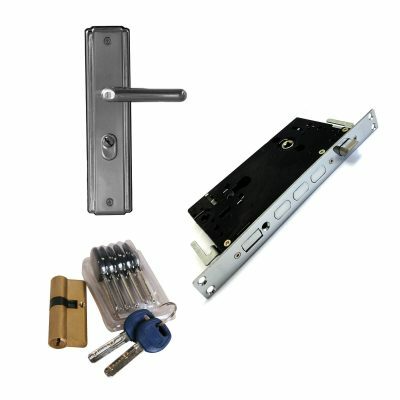 This spindle is issued as standard with the lever handle set which comes with our multi point locking personnel doors. 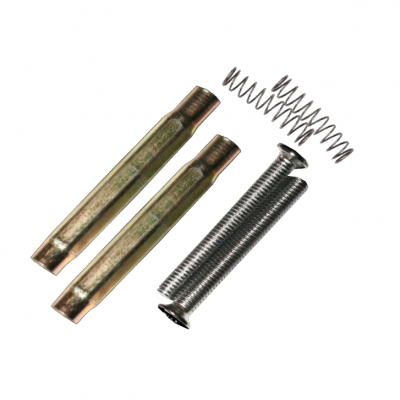 It is to be used with 2 springs, which come in the ‘Handle Fixings’ pack, which can also be purchased separately. 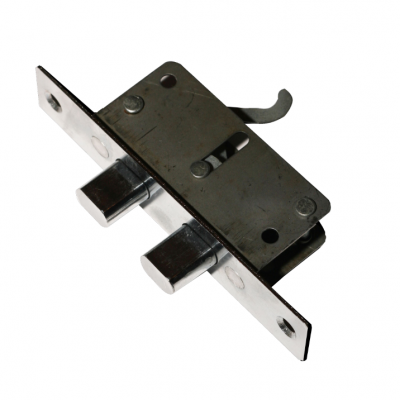 The handle fixings come as part of the standard or stainless steel handle kits. Please state whether the replacement handle fixings are for the standard issue handles or the stainless steel upgraded handles. They are different sizes and aren’t compatible with the different handle types. 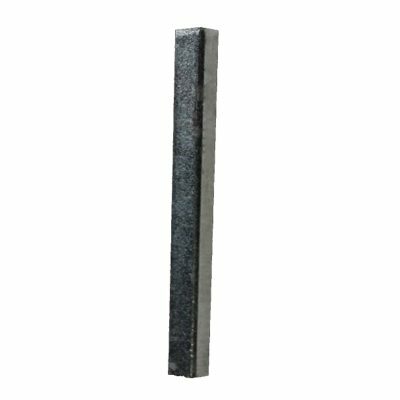 Cylinder covers come standard either fitted to the personnel door or separate with the hooply handles, to fit as part of the install. 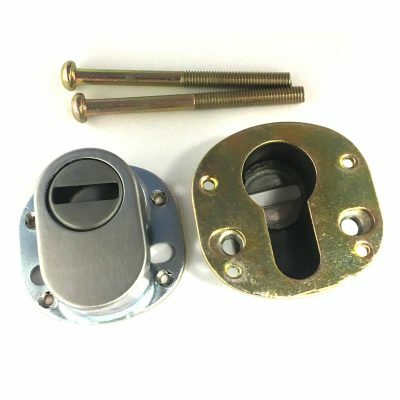 You may wish to consider purchasing a complete new hooply handle set, as cylinder covers form part of the set. 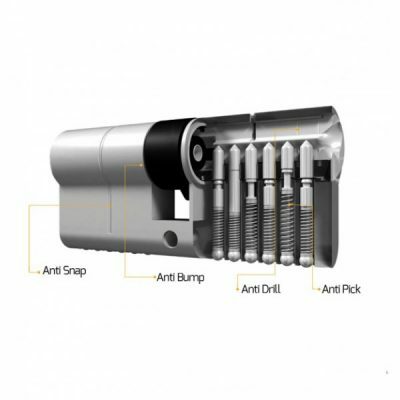 Also known as the hooply lateral lock, a crucial part to the 19 point locking system is the upper/lower latching side shoot bolt, which when combined (1 top and one bottom), adds 4 locking points to the high security locking system. Please state the dimensions of the face plate when ordering so we can ensure that the correct replacement part is sent out. 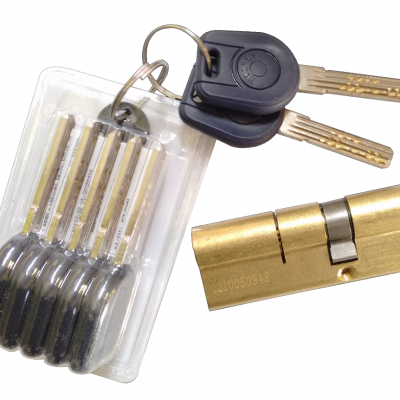 Our security thumb turn cylinder allows you to work the locking system from the inside, without the need for a key. 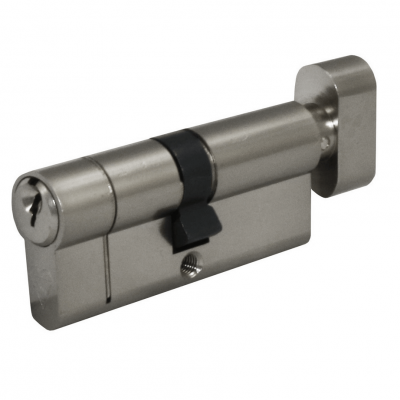 Not to be mistaken for the privacy thumb lock (mounted to the handle), which is standard issue with all of our multi point locking doors. This works a separate single locking point. For further information, see the video in the ‘videos’ tab below.